The modern kitchen has become a central rendezvous, a meeting point for family and friends, in which you cook and have fun, spend time together and simply feel good. This is one of the main reasons why customized kitchen furnishings are becoming so important. In the best case, the kitchen of today means having perfect working conditions in a climate of well-being. This is particularly successful when optimum functionality and individual lighting are perfectly coordinated. Or to put it another way, when optimum functionality is put in the right light, and allows the individual kitchen to become the new living room. Häfele is an international specialist for functionality. Of course, this also includes expertise in the lighting area. 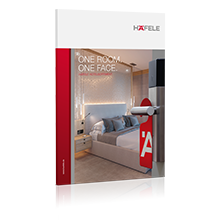 The innovative Loox LED lighting system from Häfele can easily be installed by anyone thanks to plug-n-play, and fulfils the special requirements of optimum lighting. Many components are particularly suitable for kitchen requirements. With their top design, they give each kitchen an individual appearance, provide perfect lighting during kitchen work and can also generate a pleasant atmosphere if required. Häfele makes a distinction between functional light and mood light in the kitchen. Functional light is intended to provide work surfaces, drawers, wall units and base units with good illumination and therefore increase both overview and functionality. Mood light, on the other hand, creates emphasis and generates a pleasant feel-good atmosphere. More and more lighting systems are also being use whose colour temperature can be individually and flexibly adjusted using a multi-white mixer, creating different lighting moods. There is a selection of suitable LED lights for all types of lighting in the Loox product range. Powerful LED strip lights from the 24 Volt system that Häfele has optimised for use in kitchens can be used as functional lights. Their greater power is the guarantee of better luminous efficacy. Bright light in wall and base units is provided by the Loox LED 3015, for example, a flexible strip light with 600 LEDs that can be up to five metres in length. It is extremely powerful, and generates an extremely homogeneous and continuous lighting effect without visible light points. This self-adhesive strip light, which can be individually shortened, is available in three colour temperatures from warm white (3000 Kelvin) to cool white (4000 Kelvin) and daylight white (6000 Kelvin). In combination with aluminium profiles, different diffusers are available for creating individual light atmospheres. Powerful recess mounted and surface mounted lights are suitable for perfect lighting of the kitchen worktop. The dimmable Loox LED 3019 light is one of the highlights. With its rectangular metal housing, this surface mounted light can also be installed in corners. It is extremely easy to retrofit, and makes a good impression with its slimline design and extremely bright and homogeneous light. The identically-designed LED 3020 light is available for recess mounting. Both lights are available for 600 and 900 mm wide cabinets. The innovative flexible 3017 LED strip light creates different lighting moods. It is often used for plinth illumination, where it creates attractive emphasis. In combination with the multi-white mixer, a colour temperature of between 2700 Kelvin (warm white light) and 5000 Kelvin (cool white light) can be selected, and the required lighting mood can be individually and smoothly adjusted by remote control. The filigree strip light can be individually shortened after every twelfth LED. Any number of multi-white mixers can be controlled with a single remote control within a radius of 15 metres. The modular Loox product range does not just impress with its lighting setups but also with a wide range of system components such as multi switch boxes, multi driver boxes, four-fold extension leads and different switch versions. This makes it possible to realise individual lighting concepts without problems. 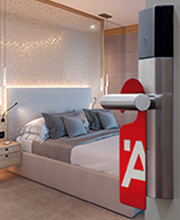 The well-tried plug-n-play technology for different systems (12 Volt, 24 Volt, 350 mA) with standardised plug connections and clear colour coding makes Loox extremely user-friendly and makes it possible to easily integrate LED lighting both in series-produced furniture and customised furniture. Modern LED (strip) lights consume much less electricity than conventional light bulbs or halogen lights, and they generate little heat, which is extremely important in furniture manufacture. The small lights are extremely robust, and have an extremely long service life of up to 50,000 hours. 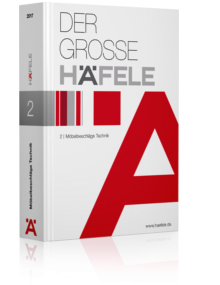 In order to make selection easier in view of the variety of LED lights, lighting setups and combinations, Häfele supports its partners with selling aids and comprehensive technical information on the product and lighting design. The Loox ‘Quick select’ shows different installation situations and introduces components and the respective circuit diagrams. On the Häfele website the second generation of the Loox Visualization tool is available, which shows what lighting moods can be implemented with which lights. 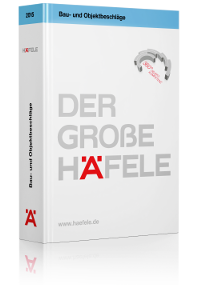 It then leads to the Häfele e-catalogue. where the selected light is described in detail. 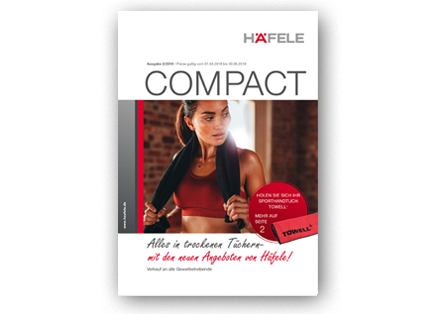 A complete overview of the Loox system can be found in the Häfele catalogue “The Loox Lighting System”, which introduces all lights and system components. The heart of Loox is the innovative and powerful driver, which can easily be used worldwide and deals with different mains voltages and frequencies. In future, it will not only provide the LED lights with power but also put music into furniture. This is made possible by sound transducers, so-called exciter speakers, which transform hard surfaces such as wood, glass or metal into a resonating body that can play back music stored on a smartphone, laptop or tablet and transmitted via Bluetooth. The power for the exciter speakers is provided by the Loox driver. With this combination of light and sound in furniture, Häfele is leading the way in a completely new segment and making Loox even more versatile.